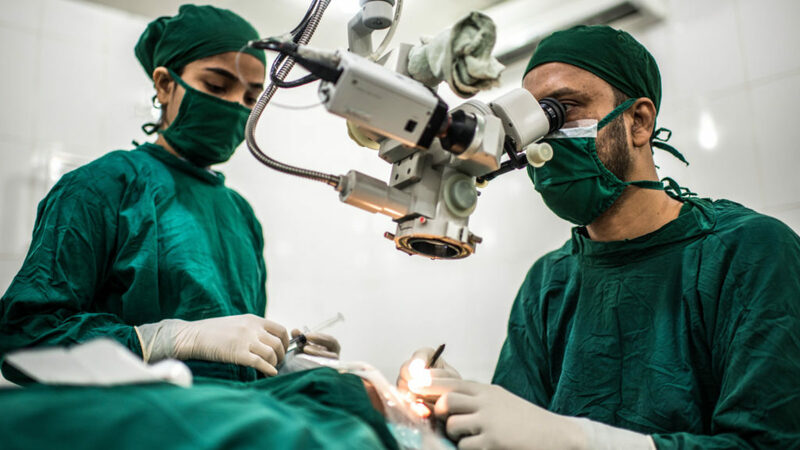 It is estimated that 20 million people worldwide are blind because of cataracts, but sight can be restored with a straightforward operation. 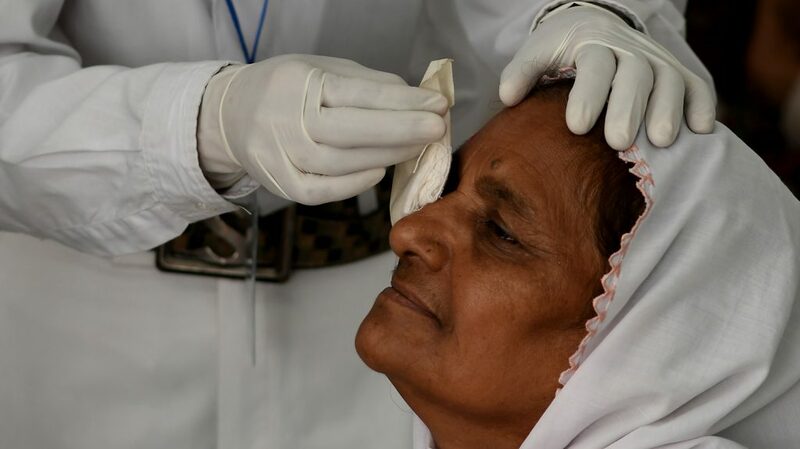 After having their eyes screened for cataracts at an outreach camp or local centre, patients who have been referred arrive at the hospital or eye clinic on the day of their operation and are prepared for surgery by the nurses. Usually one person will be prepared while another patient is being operated on. 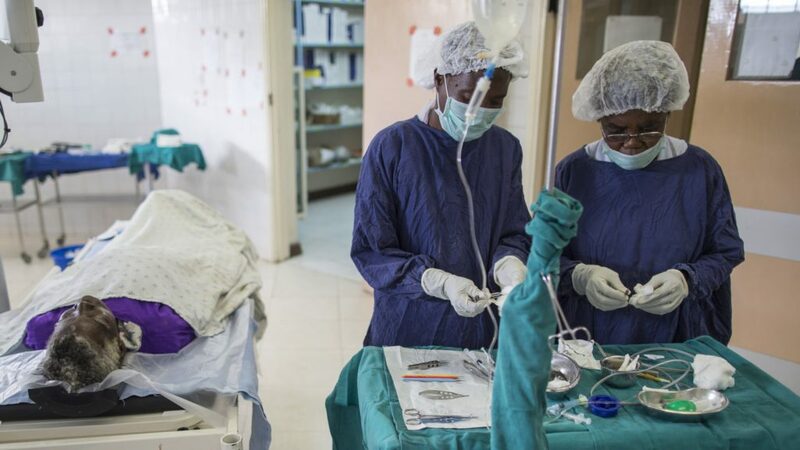 This enables the surgeon to start a new operation as soon as the first is finished, maximising the number of patients that can be treated each day. Before patients enter the operating room, they are dressed in a sterile gown and head cover. Just before surgery, the area around their eye is thoroughly cleaned with an antibacterial solution, and a sterile drape is placed over the skin. A drop of antibacterial solution is also applied to their eye to clean the conjunctiva (the membrane that covers the front of the eye). 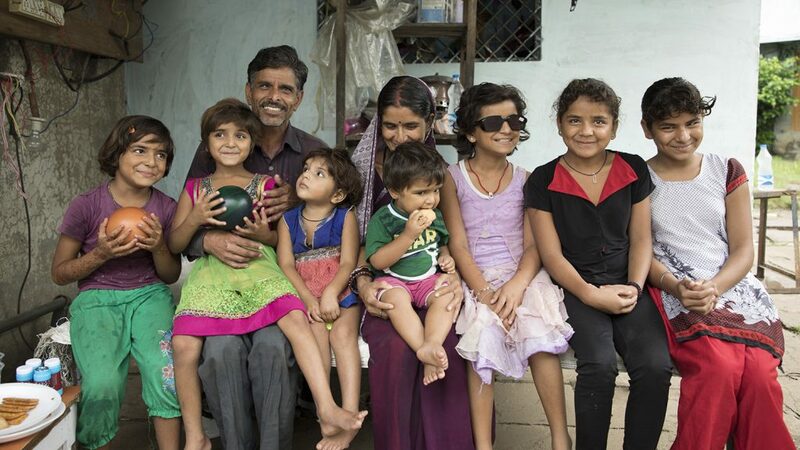 The Yadav family from Bhopal in India, outside their home following their daughter's sight-saving cataract surgery. Before their surgery, adult patients are given a local anaesthetic and are conscious throughout the procedure, which takes as little as 20 minutes. Operations for children usually require a general anaesthetic and therefore take a little longer. During the operation, a tiny cut is made in the eye to remove the cloudy lens and replace it with a clear artificial one. If a patient has cataracts in both eyes, they will need to have two separate operations. These are usually performed at least two weeks apart to give the first eye time to heal. Surgical staff perform a cataract operation. After the operation, a pad and plastic shield is placed over the eye to protect it for a day or so. Because adult patients only need a local anaesthetic, they can usually go home on the same day, while children are often kept in overnight to make sure they are fully recovered. Cataract surgery has a high success rate and patients are able to return to their everyday activities quickly. Sometimes vision can start to return within a few hours of surgery. Watch the reaction of 14-year-old Rose after her operation. Zamurrad having her patch removed after cataract surgery. 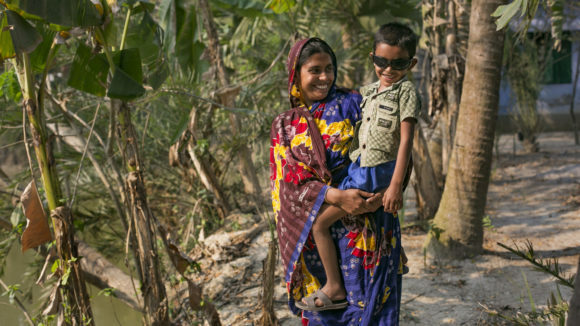 Bangladesh has one of the highest rates of untreated cataracts in the worldwide. In 2017, we helped to carry out more than 52,500 cataract operations to restore vision. We focus on reducing childhood blindness in Pakistan, and have examined more than 125,000 school children for eye conditions including refractive error and cataracts. 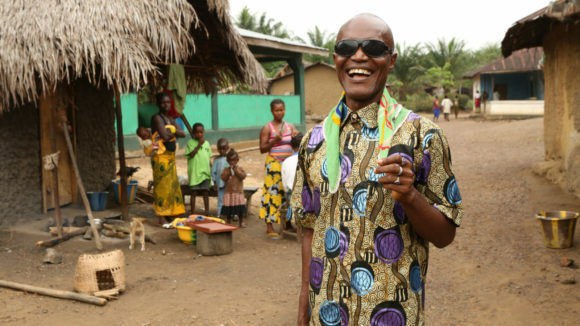 In 2017, Sightsavers performed more than 4,000 cataract operations in Sierra Leone as part of our work to improve the quality of eye health services across the country.